I have written several books beginning in 2011 with Teaching Generation Text. My latest books are Supporting Student Personal Learning Networks, The Educator's Guide to Creating Connections and How to Opt Out (Not Drop Out) of School. Educators are connecting on Twitter, Facebook, Instagram, blogs, Google Hangouts and more, as they develop personal learning networks as a tool for professional growth. Personal Learning Networks (PLNs) are those connections individual learners make to suit their specific perceived learning needs. Educators know that in today’s world, value is found in more than just what you know; who you know and how to make the most of those connections and information is even more important. This holds true for youth as well. If we want young people to achieve success in the world today, we must step up and support students as they build their own 21st century rolodex, the PLN. Can cell phones help parents and educators build a stronger connection that will ultimately benefit students? Yes! 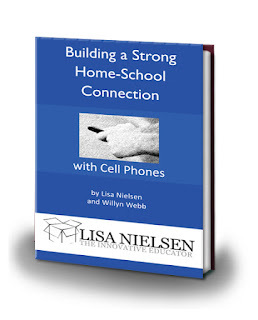 Through cell phones, students, parents and teachers can better communicate with a myriad of free and low-cost resources that Nielsen and Webb list out in this helpful book. Built on the premise that the home-school connection is invaluable for students, readers learn exactly how digital tools can help, including text and voice programs, podcasts, Voki, and translation apps. Cell phones and the enhanced connections they provide can strongly benefit students and their individual learning. This book looks at breaking the ban that exists in today’s schools and bridging the digital divide with cell phones, the most ubiquitous and overlooked learning device in American households. Discover how to stop fighting and start embracing cell phones as powerful learning aids that engage learners in fun and relevant ways. From policy to parent permission, from discipline to classroom management with a wealth of exciting new tools, featuring lesson plans and research-based teaching strategies TEACHING GENERATION TEXT provides everything educators need to harness the power of cells today! Learn how I became interested in using mobile devices for learning even though they were banned in my district, here. Being a Connected Educator is more than a set of actions: it’s a belief in the potential of technology to fuel lifelong learning. 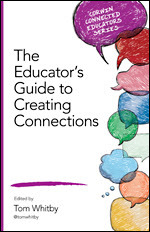 This book is every educator's guide to becoming connected through social media, blogging, personal learning networks, and even new policy. The book is comprised of the eight chapters below, each written by a connected education thought leader. This book provides parents with 20 concrete actions they can take to advocate for the rights of their child in school today. It was inspired by the movie “Race to Nowhere”. The movie identified issues with schools, but ended with no solutions. “Fix the School, Not the Child” was written to provide parents with solutions they can pursue when schools are not meeting their children’s needs. Welcome to the start of your taking control of your own learning and discovering your own path to pursuing your passions. Whether you take the traditional route or an alternative, it is important that you are aware of the options and are empowered to decide. This guide will give you the information and encouragement you need to consider what the best education option is for you and you alone. Some of the concepts may challenge what you already know and some may echo your current beliefs. Either way, it’s creating an education for yourself that helps you excel. For a limited time access your free copy here. The secret is out! Home education is a wonderful option for young people. However, many working parents have the misconception that this is not a viable option. Fortunately, they're wrong! 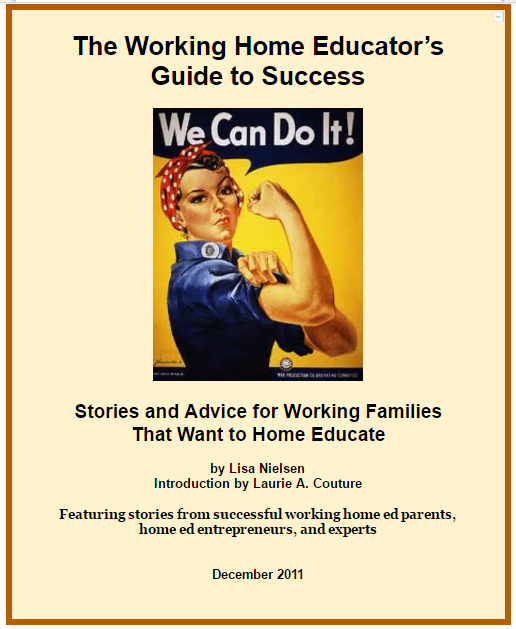 This guide features advice, tips, and ideas from working parents who are home educating their children. Come. Think outside of the box and provide your child with the childhood she or he deserves. 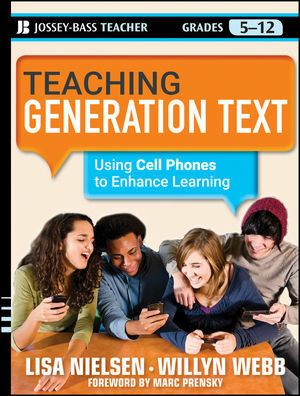 Video featuring Lisa Nielsen and Willyn Webb, authors of Teaching Generation Text discussing the use of cell phones in education. Check out a couple free books to which I am a contributor. 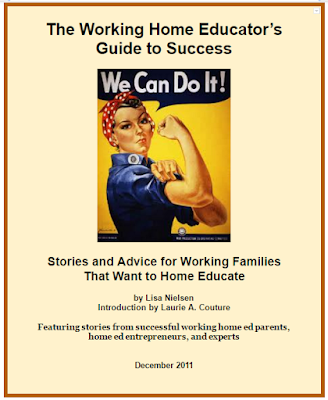 Click the picture of the book to access your free copy. Visit this link to access your free copy today! Guides educators through getting started with using the devices they own and use everyday for leading, teaching, and learning. Willyn Webb and I take a look at the three ways to use cell phones with an overview of each of the three tools and advice on how to get started. This is followed by ideas for how administrators are using these tools to strengthen relationships while saving time and money, teachers are using them either in class or for homework, and how students themselves are using the tools to enhance their learning.